In the hot summer months, many mornings are heralded with the drone of the lawn mower. Whether it’s at home or at work it’s your ever-faithful seasonal companion to achieving an impressive lawn, but remember, the fuel to power it is highly dangerous, so storing it safely is essential. Many of our customers buy off us to power the machines, so we’ve put together some handy hints on safe storage all year round. 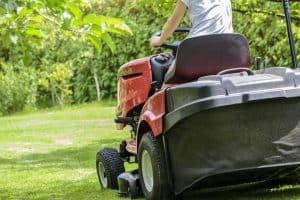 If you own a petrol-powered mower, the fuel is by law limited to either metal containers with a maximum volume of 10 litres or approved plastic containers with a maximum of 5 litres capacity. The container must be clearly labelled and designed exclusively for this purpose. It must contain a screw cap or another form of closing mechanism that is secured to prevent oil spillage. You can store up to 30 litres at home by using two 10 litre metal containers or two 5 litre plastic containers per household. If you need to store larger quantities, you must notify your local Petroleum Enforcement Authority (PEA) in writing and obtain a licence. Suitable storage areas include the garage or shed. They should be well ventilated, far away from any electrical equipment and incompatible substances, for example fertilisers, and at least 5 meters away from other dangerous goods. You must not store fuel in living areas. Ride-on lawnmowers are commonly powered by red diesel. There aren’t any specific regulations on the quantity permitted if its less than 35000 litres, as the flashpoint is extremely high so its vapour will not ignite at typical room temperatures. That said, if you store more than that, you need to follow business legislation, Control of Pollution (Oil Storage) (England) Regulations 2001. ✓ Steer clear of the risk of collision with vehicles etc. We’ve already noticed a change in the weather, with the dark nights beginning to close in on us already. Before we know it, winter will be with us and your machine will be entered into a well-earned hibernation. But you can’t just let it lie dormant for months and foresee it to be in tip-top condition when spring returns. At the end of season, you need to spend some time giving it some TLC. Make sure your machine is topped up and in good working order. Ensuring your engine is fully lubricated with a bit of elbow grease will give you a head start when spring arrives. We have a wide range of lubricants available for a variety of different uses. Keep your mower covered up when it’s put to bed. 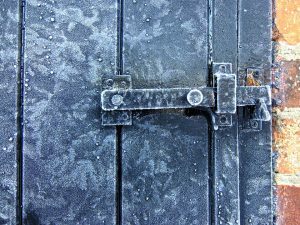 Uninvited guests like dust and dirt can build up in the engine and cause mayhem… rust or a blockage is not what you want when cutting season comes back around. Have you checked the blades? 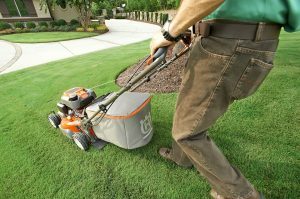 Summer’s back with us and you’re set up and raring to go but your mower is seemingly more difficult to use. Sharpening the blades will ensure the best cut possible and an easy cut at that. Blunt blades will tear or fray grass instead of clean cutting it which will make it more vulnerable to diseases. Ever see yellow grass in summer? That’s the result from dehydrated lawns.